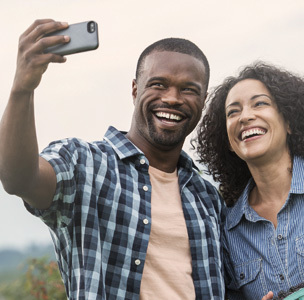 Get a new phone on America's largest and most reliable 4G LTE network. With Verizon Edge, you can always have the phone you want. Taxes/fees apply. Verizon Edge activation req'd. If you don't have the best coverage, you could end up missing out on moments. 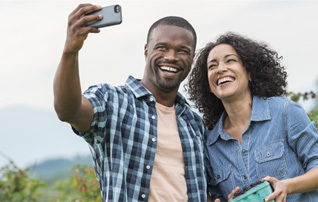 Compare coverage in your area to see for yourself why Verizon is the best choice. *Free 2-Day Shipping when you order online Monday–Friday by 4:00 pm. Available for purchases placed on vzw.com for delivery within the U.S. only, excluding Alaska and Hawaii. Our Surcharges (incl. Fed. Univ. Svc. of 17.4% of interstate & int'l telecom charges [varies quarterly], 18¢ Regulatory & 95¢ Administration/line/mo., & others by area) are in addition to monthly access & not taxes (details: 1.888.684.1888); gov't taxes & our surcharges could add 6%–44% to your bill. IMPORTANT CONSUMER INFORMATION: Subject to Cust. and Edge Agmts. & credit approval. $15/1 GB after allowance. Max 10 devices. Eligibility to keep number varies. Offers & coverage, varying by svc., not available everywhere; see vzw.com. Limited-time offer. All company names, trademarks, logos and copyrights not property of Verizon Wireless are the property of their respective owners.